One of the longest Love 4 One Another shows circulating and a rather impressive audience recording. The audience are audible throughout, and there are certain parts of the show where they are slightly too audible (the opening song 'Jam Of The Year' especially), but on the whole they add a fun atmosphere to the recording and do not detract from your enjoyment in any way. 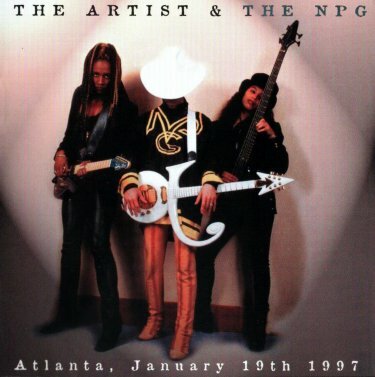 The Atlanta show contains a few songs not normally performed on the short tour and it is a very loose, jovial show with Prince interacting with the crowd in an unusually friendly way. The highlight of these shows is always 'Face Down' and this one is no different, as well as some inspiring bass it also includes brief snippets from both '777-9311' and 'Hair' during the extended bass outro. The closing encore is also a joy to listen to with a fantastic call-and-response centred around "Freedom Is A Beautiful Thing". The show is brought to an end with a rare performance of 'Partyman'. The bonus tracks on here are a nice addition, but the quality is rather hit and miss. The soundcheck is very echoed and slightly disappointing, the Detroit performance is slightly thin however it is of excellent quality. The two New York tracks have been lifted directly from the officially released cassette, and are in perfect soundboard quality as is the broadcast from the Rosie O'Donnell show. Certainly one of the better early 1997 recordings and the the performance and set-list also make it one of the more interesting. A great release. A neat Jam Of The Year release with average sound quality. It is an audience recording and a fairly average show. The Philly soundcheck is an interesting addition. The New York tracks are from the official 'bootleg' tape and I'm certain the Rosie O'donnell tracks will show-up on all those Broadcast releated CDs that are coming out. A good document of the Jam Of The Year tour. This may be one of the first shows that included Reverand Mike Scott in the line-up. A nice show with a lengthy encore including a jam based around 'Partyman'. A good selection of bonus tracks makes this one to consider when looking for a 1997 show.